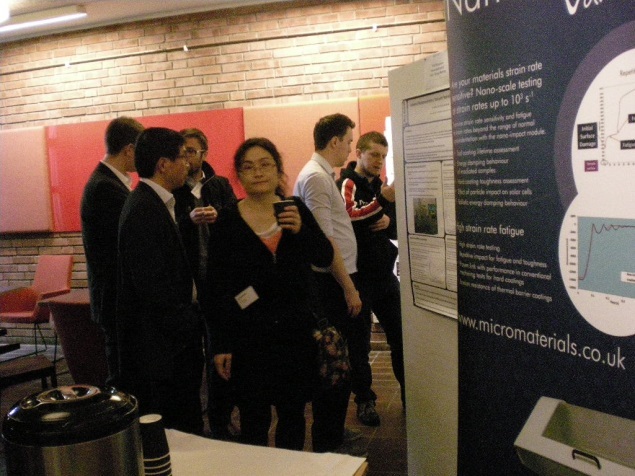 Micro Material Ltd’s 15th European User Meeting took place on 11th and 12th November 2015, kindly hosted by the Dept of Mechanical Engineering at Lund University in southern Sweden. 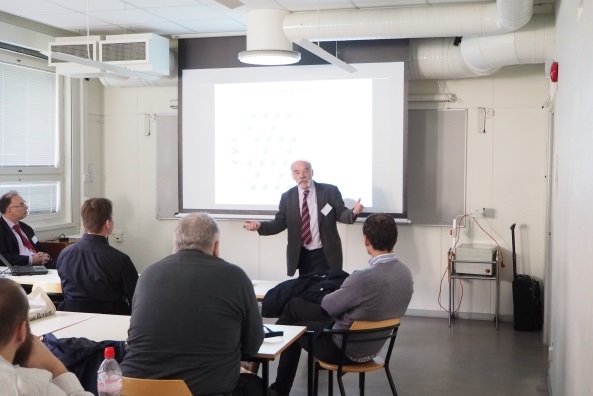 Thirty five participants from 9 countries attended and, on the first day, heard presentations from our own applications specialists covering nano-mechanical and tribological testing of DLC coatings with the NanoTest. Dr Ivan Argatov, of TU Berlin also gave a talk on AFM indentation stiffness tomography. Host Professor Jinming Zhou then accompanied delegates on a tour of his department’s Robotics laboratory, one of the most advanced facilities of its kind in Europe. Day 1 was concluded by dinner in the impressive Art Nouveau surroundings of Lund’s Grand Hotel. On Day 2, Prof Bill Clegg, University of Cambridge , opened the day with a presentation examining the effects of composition on deformation in complex metal alloys, explaining how hardness can be systematically varied by changing the electronegativity difference between the species in alloys with large unit cells. 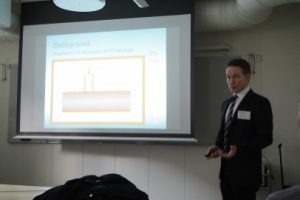 Dr Radim Ctvrtlik, from Palacky University in the Czech Republic, gave the first of three presentations centring on the effects of temperature on the mechanical properties of materials. Describing experiments carried out on silicon carbon nitride coatings, he showed how it had been possible to establish the practical hardness limit achievable by thermal treatment for SiCxNy films deposited on unheated substrates. Dr Jens Hardell, of Lu leå University of Technology in the second presentation in this section discussed the effects of temperature and tool steel toughness on hardness and scratch/friction performance, illustrating his talk with examples from work carried out using a NanoTest Vantage instrument at temperatures upto 600 degrees C.
This section concluded with a talk given by Dr James Gibson of RWTH Aachen on elevated temperature nanoindentation of tungsten for fusion applications. The ability to test – using the MML Vantage – to 750 degrees C in vacuum and, latterly, to 950 degrees C has meant that it is now possible to study the mechanical properties of such a highly-oxidising material at reactor-relevant temperatures. Dr Torsten Howind of the University of the West of Scotland in Paisley then presented a study of how statistical nanoindentation was successfully applied to investigate the beneficial impact of the addition of silica nanoparticles on the micro-mechanical performance of cementitious systems at early stages of hydration. Cube corner impact tests carried out to further the understanding of the deformation and fracture behaviour of Ti1-x AlxN coatings were described during the talk given by Dr Suresh Babu, of Hyderabad’s International Advanced Research Centre for Powder Metallurgy and New Materials (ARCI). In the afternoon sessions, delegates heard about the work carried out by MML in collaboration with China’s Southeast University. Prof Jian Chen first described an investigation into the influence of dehydration on the interfacial bonding, microstructure and mechanical properties of poly vinyl alcohol/graphene oxide nanocomposites. Following this, Prof Ben Beake of Micro Materials Ltd detailed how the NanoTest, fitted with a humidity cell, liquid cell and cold & hot stages was used to study the influence of test environment on the loading exponent, strain rate sensitivity and indentation creep strain of various polymeric materials. Dr Miguel Monclus of IMDEA gave a presentation on thermal strengthening of physical vapouir deposited Zr/Nb nanoscale multilayers, which described how these thermally stable ceramic/metal (ZrO2/Nb) multilayers with exceptional hardness and elastic modulus can be produced by simple annealing in air. For the final presentation, the focus switched to a new consideration of a now standard technique, namely the “stable indenter velocity” method for obtaining the creep stress exponent from indentation data. Jimmy Campbell, University of Cambridge outlined the reasons why this method commonly gives unreliable values. Before breaking for the journey home, some conference delegates took the opportunity to visit the Lund laboratory for hands-on applications advice, others networked with the authors of the posters on display outside the conference hall. 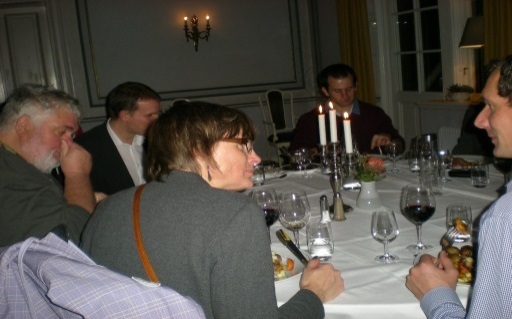 We thank everyone involved in making the Lund User Meeting a success. If you use the NanoTest instrument already, are planning to do so or have a professional interest in the nano-mechanical characterisation of materials, why not join us for our next event? We’ll keep you posted regarding the date and location.